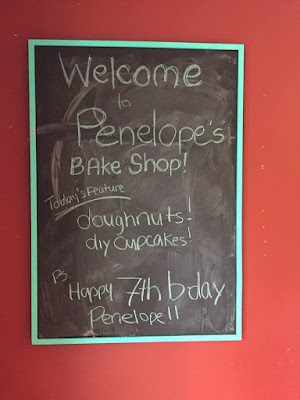 Penelope doesn't turn 7 until August 18th, but we hold her friend party in June since we are still in school and have a teeny bit more free time to host it. 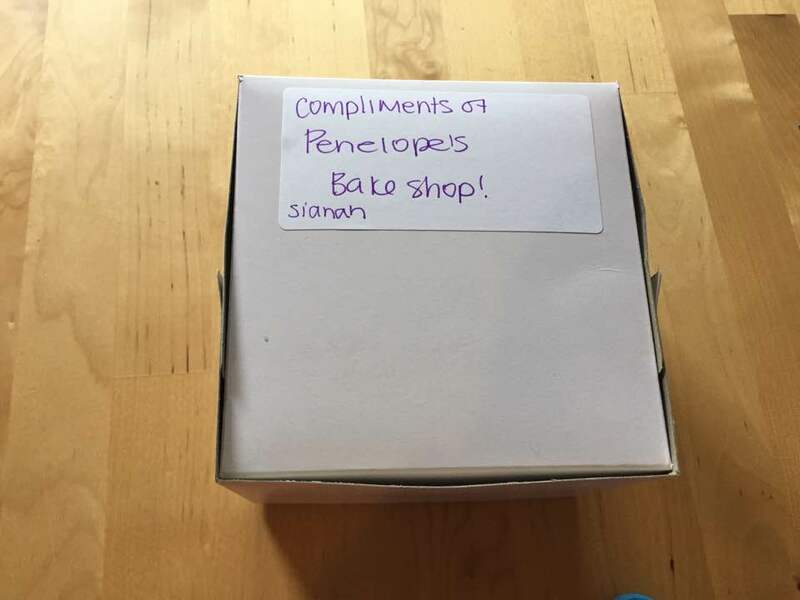 Last fall a friend of mine did a baking party for her daughter and so I suggested it to Penelope and she loved it so that is what we did. 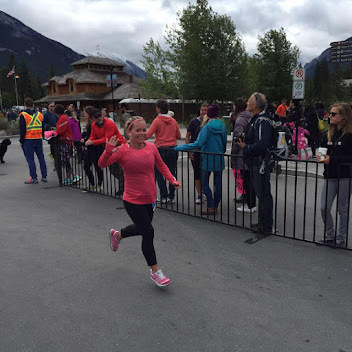 Thanks again Sarah for your tips and inspiration! The plan was to decorate aprons using fabric markers which are less messy then fabric paint. Actually they aren't just less messy, they just aren't messy period! 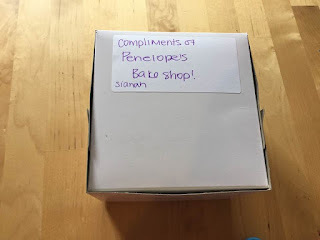 That was a fantastic tip from Sarah because I was seriously going to buy the paint. Thank god I asked her about that. She also suggested jewels for the aprons from the dollar store that I never would have thought about getting. 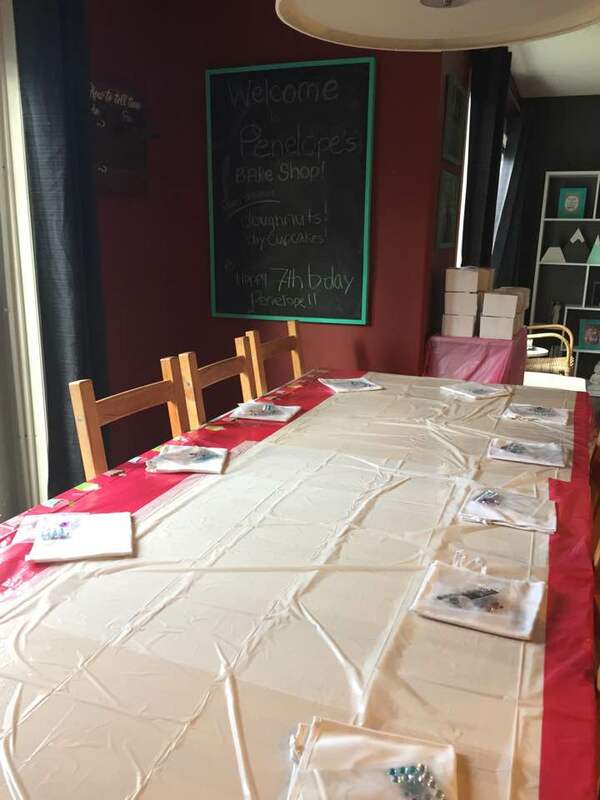 The aprons and fabric markers were all purchased at Michaels using their coupons. I got 40% off the markers and bought the aprons back in April when they had 55% off coupons. So I paid about $14 instead of $32. The aprons come in packs of 5. Before the party, I laid out the aprons at each chair and gave them a bag full of jewels. Once the girls were at the table, then I handed out markers and they all did a really good job of sharing the colours too, which made me very happy. 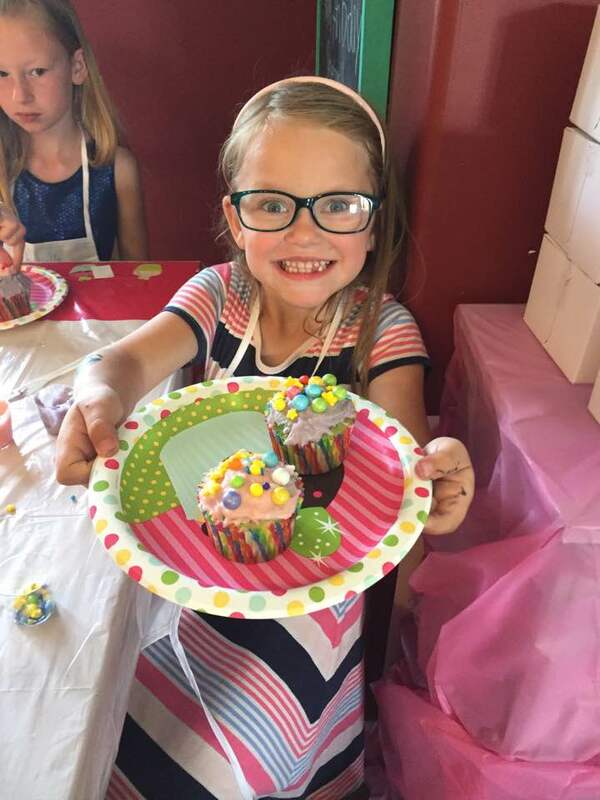 Once the aprons were decorated and all girls were happily wearing theirs, we started on the cupcake decorating part of it. 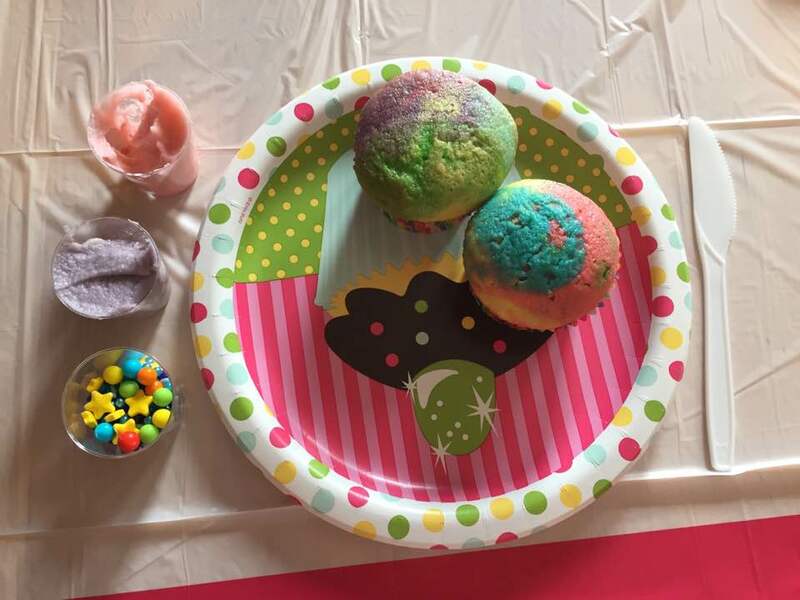 Each girl received 2 rainbow cupcakes made by me and 2 containers of frosting made by Greg with colours picked by Penelope and another container full of really cool sprinkles. 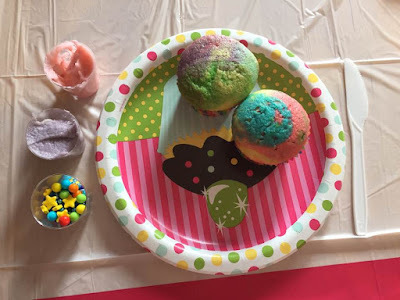 The table cloth, napkins and plates are from Walmart and were $1.25 per package. The sprinkles I bought at Winners for $3.99 each. They have such cool decorating accessories to add on! 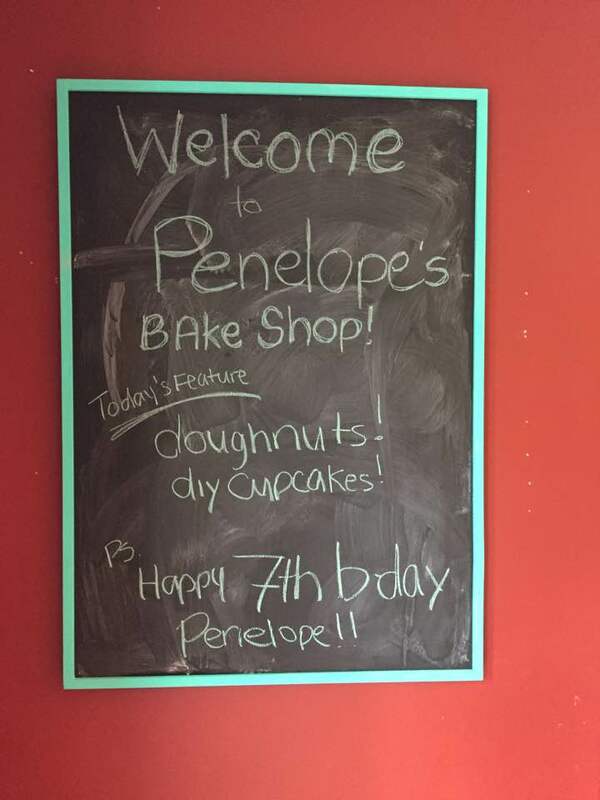 Penelope showing off her cupcakes that she decorated. Once they were all done, I put them in little bakery boxes labelled with each child's name and a sticker that said "Compliments of Penelope's Bake Shop" and put them in their goody bags. 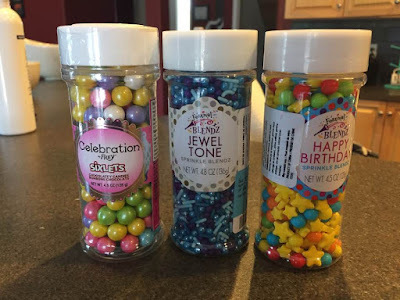 These were also purchased at Michaels and they are $5 for a package of 5. Penelope didn't want to have a cake or cupcakes since that was what we were decorating for her party so she opted for Vanilla Dip Donuts from Tim Hortons. I went early that morning after my run when they weren't busy yet and they made me 18 fresh donuts to take home. 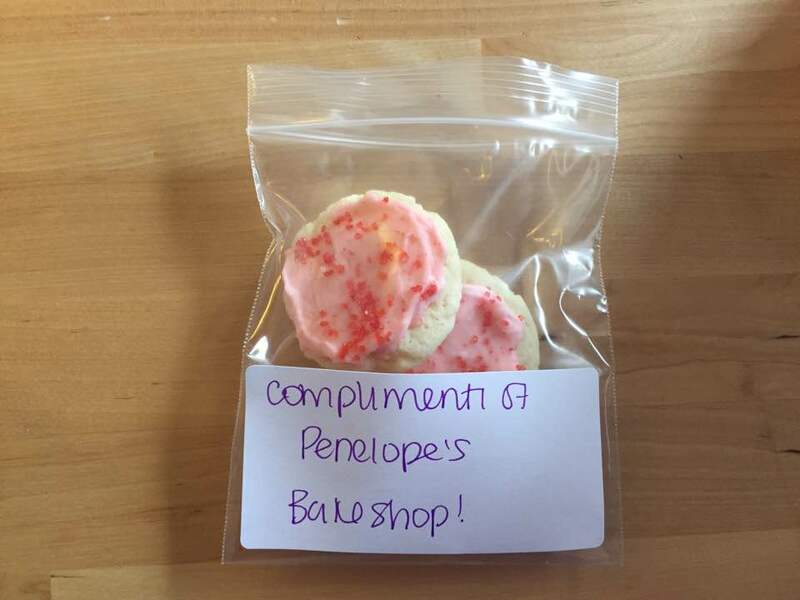 Penelope's Bake Shop also included chips, watermelon, rice krispy squares and homemade cookies. 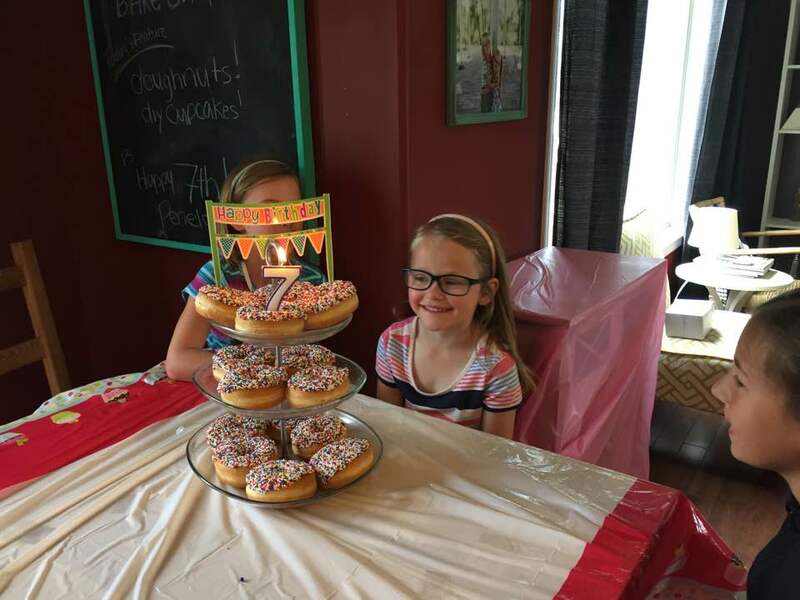 The party was a huge success and Penelope loved it and after it was all said and done, we barely spent $100 on the whole party! 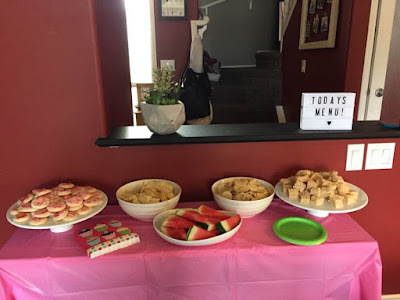 While I don't mind spending money on birthday parties, it makes me quite happy to have such a fun party on the cheap!